John F. Kennedy International Airport, where furious passengers have been stranded for days as a result of equipment damaged by the storm and a backlog of flights, saw further meltdown with Terminal 4 flooded, CNN footage showed. 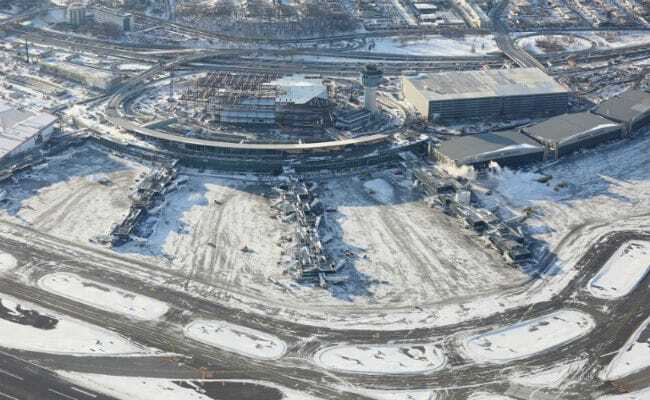 New York, United States: New York's flagship airport descended into chaos Sunday when a water main broke, flooding a terminal as brutally cold temperatures broke records on the US East Coast following a deadly winter storm. Water gushed from the ceiling and the arrivals area was submerged by standing water, through which a few intrepid passengers picked their way gingerly, according to images broadcast by the television network. JFK confirmed the water main break at Terminal 4 and warned passengers via Twitter of flight delays, advising them to check with their airline before travelling to the airport. Air India, China Airlines, Delta, Egyptair, El Al, Emirates, Etihad, KLM Royal Dutch, Singapore Airlines, Thomas Cook and Virgin Atlantic are just some of the airlines processed by Terminal 4. It comes after the airport was forced to close Terminal 1, which serves the likes of Air France, Japan Airlines and Lufthansa, to international arrivals on Saturday to get on top of the backlog. 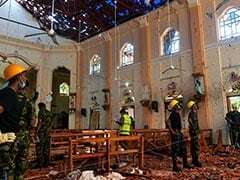 "I am so angry, words cannot even express how I feel right now," one stranded female traveler told NBC television before the water leak. 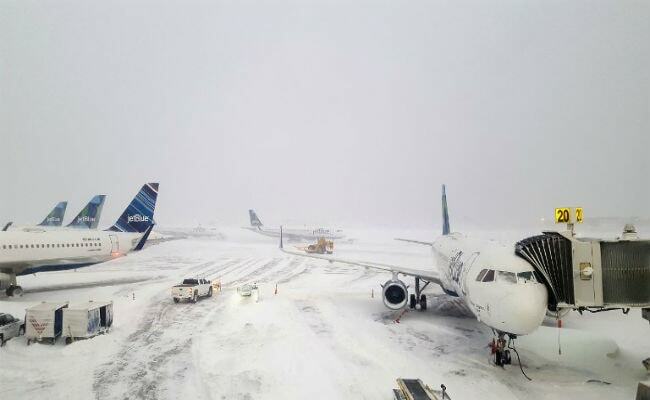 Ninety-four flights were cancelled at JFK on Saturday and 17 diverted, as the extreme cold and storm recovery "created a cascading series of issues for the airlines and terminal operators," said the Port Authority of New York and New Jersey that runs the airport. "Airlines remain in recovery mode, rebooking passengers from canceled flights and reuniting passengers with their luggage," it said. "Frigid temperatures continue to cause equipment failures and slower than normal operations. Customers may experience residual delays, particularly for international flights," it added in a statement. JFK was one the parts of New York that saw record lows for January 7, including four degrees Fahrenheit (minus 15.5 degrees Celsius). The big freeze follows a storm Thursday dubbed a "bomb cyclone," which has been blamed for at least 22 reported deaths in the United States. Boston, which saw some of the heaviest snow from the storm, froze with a Sunday morning low of minus two degrees Fahrenheit (minus 19 degrees Celsius) -- matching the previous January 7 record in 1896. Massachusetts marked three record lows on Sunday, with Providence and Worcester frozen at minus two and minus seven respectively, breaking records last set in 1912 and 1942, the National Weather Service said. The bitter cold is forecast to remain on the East Coast Sunday with highs below freezing as far south as parts of North Carolina. Forecasters predicted ice accumulations from a band of freezing rain from Missouri through Ohio and Tennessee into the Mid-Atlantic, warning of hazardous road conditions. But in New York, at least, a wind chill warning was lifted. Temperatures are expected to rise as the US financial capital embarks on a new working week from Monday. Extreme cold advisories were also lifted in parts of eastern Canada, albeit with midday temperatures still at minus four degrees in Quebec and heavy snowfall due in South Ontario, and Newfoundland and Labrador. Sea crossings, such as the ferry service linking Prince Edward Island to the Magdalen Islands were still largely suspended.